Bunny Lake are an Austrian Electro-pop band that formed in 2004. 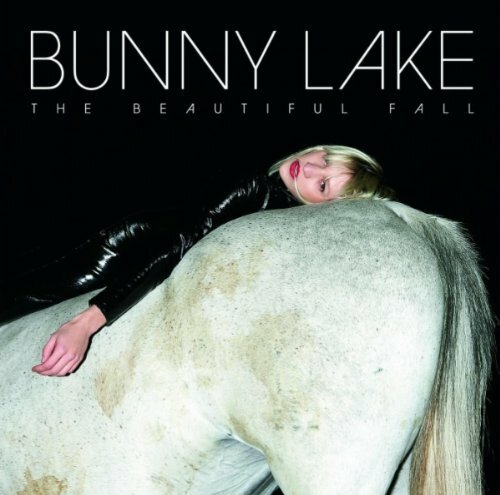 They have two prior albums that I am not familiar with, but have been recently really digging their third, "The Beautiful Fall" quite a bit. It's mix of 80's New Wave, a bit of 90's style guitar pop, and current electro, the record is filled with bouncy, catchy, ditties that get a bit better with each listen. I love lead singer Suzy on the Rock's semi-deadpan vocals. "Into the Future" is the first single, which was actually released in late 2008, and supposedly a change in sound for the band. It fits in with the rest of "The Beautiful Fall" so I'm going to have to go back and take a listen to their older stuff. They certainly have some good songwriting chops. 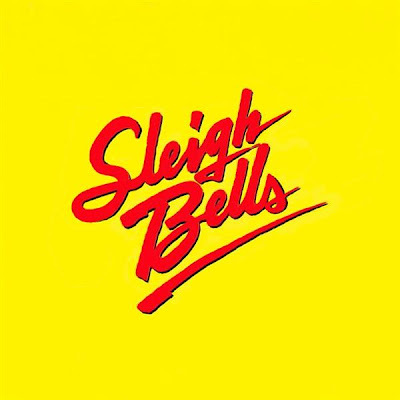 I blast of guitar, deep noisy beats, and schoolyard female rapping, Sleigh Bells can, after a few songs one after another, get a little much. That's coming from the EP, so hopefully they are perfecting their sound for the debut. But that said, they have an energy that can't be denied, and in terms of "Crown on the Ground," well... let's just say, get ready to strut. It's got energy and attitude to spare. I think they could use just a little more focus on melody... but they certainly have something. I got to spend part of my weekend with some music heads and subsequently, discovered a bunch of new music. "The Afterlife" was memorable at the show, with it's 60's go-go vibe and slow end-of-the-world repetition. "I'm in Love with a Ripper" gets it's 90's on, "Psychic City (Voodoo City,)" with it's repetitive "Aye-aye-aye-aye's" felt like being caught in a churning tide as the crowd moved and sang along. (It should be noted just HOW into the band, and party, the crowd was. Great energy.) I personally like "Summer Song," which has a long slow build, but seems created for a blissed-out dance floor trance. Fun record, check it out. After being blown away by his excellent second album "A Grand Don't Come For Free" from Mike Skinner of The Streets, I'd been following him and his off-kilter U.K. based hip-hop. Third album was good but not nearly as good as "Grand" and then 2008's "Everything is Borrowed" was pretty devoid of any hooks at all resulting in just shy of forty minutes of his speak-rap, off-kilter music, and... well I didn't even get what the concept of that record was. I possibly didn't give it enough time, but it didn't do a thing to grab me. Oh well. So 2010 will see the release of "Computers & Blues," what Skinner says will be the last of the Streets albums. After a couple listens, I'm not sure there's a need to argue with him. There was something about "Grand," the working class story strung throughout, the been-there emoting, and the hooks... when the songs weren't catchy, there was a charm that coasted it through. I suppose that made the follow-up, "The Hardest Way To Make an Easy Living" a bit surprising as he donned a new "I'm famous now" persona and it all mostly worked. Now it's hard to see where he's coming from. "I Love My Phone" opens the album and it chugs along like you'd expect a Streets song to. Again, nothing grabbing. But, it should be noted... it starts and you KNOW it's The Streets, and the distinctiveness reminds you what an original he is. Second track "Trust Me" is excellent. His best song in two albums, and one that made me think 'Oh, THIS is what this album must be.' Mixing old soul with his trademark flow, it sounds familiar and yet wildly new. This one has got to be a single. Alas, the remainder of the album (after about three listens) just returns to the monotonous one tone he all too often rests in, despite the kitchen-sink music loops. None of them grab like "Trust Me," boo. "Lovelight of My Life" is a slower highlight, and again mixes a bit of old soul feel, and reminds me of what the album could have been again. And thankfully, it's a slower track that isn't just "This albums 'Dry Your Eyes.'" Am I missing something? Any Streets fans that disagree with his recent direction? Or am I just not getting it? Here's another entry in the new school of indie-ish groovy lounge music. Like Shy Child, Digits, and to a lesser degree Junior Boys, Los Angeles based electronic band Kisses use elements from the golden age of futuristic disco with an indie-rock sensibility. It's martini music that's swinging enough to half listen and vibe to, and melancholy enough for repeated, deeper listens. Love single "Bermuda" and giggle a little hearing the earnestly sung chorus of "Midnight Lover," "I would like to take you out, I would like to take you out... for a nice steak dinner." So L.A. Here's one that I missed when it came out, Phillipa "Pip" Brown... AKA "Ladyhawke" is a New Zealand electro-pop artist who's self-titled debut came out in 2008. She was in two bands prior to recording her solo debut, Two Lane Blacktop in New Zealand, and then, after a move to Melbourne, a band called Teenager with Empire of the Sun's Nick Littlemore. But it was this solo album that put her on the map, a new wave-ish pop record that sounds a little like Tegan & Sara making a an 80's album. Synth's, guitar, and killer hooks... it's a great record, and one I've really been enjoying quite a bit. First single "Back of the Van" gives me a little 80's era solo Stevie Nicks... though less organic. I also like the immediate "My Delirium," which is punchy and rocking. It's a great record.... check it out. Danger Mouse strikes again with a killer collaboration with James Mercer of The Shins. A pseudo-psychedelic folk-ish rock record with light touches of electronica. A semi-ridiculous description that doesn't even really do the record justice... it just happens to have so many elements to it, and yet... doesn't sound disjointed or a genre-hopper... it's really just a batch of killer tunes. First track and single "The High Road" does a pretty great job at setting up the proceeding, with a light beat, acoustic strumming, and then Mercer's voice riding the melody. Amazing. "Vaporize" sounds very British, a little Charlatans UK, a little Love even, but again... great melody. Other stand-outs include the Strokes meet down-beat Gnarles Barkley "The Ghost Inside," The trippy "Sailing to Nowhere," country-lite sea-shanty "Citizen," and yearning electro-rock of "October." Been really really digging this record and think we're going to hear a lot about it this year. Well this has interesting all over it... first we have Fatboy Slim, doing his first album since 2004's "Palookaville" teaming up with music legend David Byrne for a double album. I haven't heard the whole thing, but got a listen to first single "Please Don't" featuring Santogold on vocals, and the groovy-loungy duet "Why Don't You Love Me? "with Tori Amos and Cyndi Lauper... what a pair! The album is filled with guest vocalists, mostly (aside from Steve Earle & Byrne himself) female, including Martha Wainwright, Natalie Merchant, Alison Moorer, Nellie McKay, and Roisin Murphy... just to name a few. But what's the REAL interesting part in this whole project... well, it's a double concept album about... the life of the former First Lady of the Philippines Imelda Marcos and her relationship with a servant from her childhood. I sort of can't wrap my head around it... but am wildly interested. You can pre-order the album on Byrne's website, in a variety of versions, which includes an immediate free download of that Santigold track. I'll be very interested in hearing what on earth the rest of this thing sounds like. Oh, you can also check out the title track in the video below. Hot! Here's a new young Irish band signed to Kitsune who are just releasing their new record overseas this week. Mixed by the guy that did Phoenix's "Wolfgang Amadeus Phoenix," it's a short and sweet, punchy and catchy, pop-rock record that employs a bit of electro to round out it's young and brash sound. I hear a little of The Editors, a little Postal Service, and a lot of youthful energy. The songs become a bit same-sounding, but at just over thirty minutes, the album get s in and gets out before over-staying it's welcome. Stand-outs include the singles "I Can Talk" and the breezy "Something Good Can Work." And I do love the guitar sound in "Undercover Martyn." When it comes do punchy disco-rick, their no Bloc Party or Franz Ferdinand, but this is a pretty good record, so if that's your bag you should certainly check them out. Currently the toast of the U.K. music scene, Ellie Goulding has been garnering a lot of buzz for her synthpop-ish folktronica, her debut album, "Lights" was released yesterday. A dash of Dido with a little Sally Shapiro, Ellie makes very sweet folk-pop with soaring vocals and subtle electronics. She made an initial splash with the single "Under the Sheets" but got more attention from her second single "Starry Eyed" which went to #4 on the U.K. singles chart. More immediate (and produced) than Sally, and less wet-blanket than Dido, Goulding's music might fill a space from what's needed right about now... nice and catchy, sweet and familiar, I'm not sure if I hear a single that will get America's attention, but hell... it's way better than James bloody Blunt. "Odd Blood" is the second album from Brooklyn-based indie-rock act Yeasayer. The band produced the album themselves, and it's a mix of experimental rock and psychedelic pop... sort of hard to pinpoint... but it's become one of my favorite new records. Apparently, the band has gone a bit more pop than on their debut, which I haven't heard, but "Odd Blood" comes across as a less whipper-snapper MGMT, but I also hear shades of Modest Mouse (when they try for catchy) "Bone Machine" era Tom Waits, a little Radiohead, a little Arcade Fire, and even a little Paul Simon. It's quite an amazing record, and one that gets better with each listen. It starts on a very experimental, almost industrial "The Children," and then the "pop" kicks in with the reggae-lite world music vibe of the excellent "Ampling Alp." Also excellent is the 80's style ballad "I Remember" and the rhythmic, punchy "O.N.E.," which is the second single. "Mondegreen" sounds like Modest Mouse eating The English Beat. The album is really just chock full of off-beat, wildly interesting tracks... and in some ways sounds like "Amnesiac" done as a pop record.